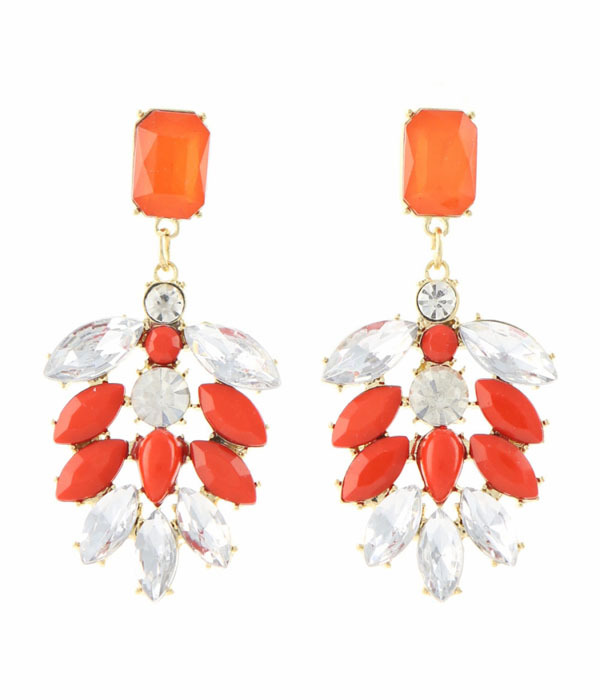 The Delisa earrings combine sunset hued cabochon and rhinestone beads in coral and tangerine with clear crystals to create a drop earring made for hot Havana nights. Set into gold metal casting with a post closure. Summer must-have's.